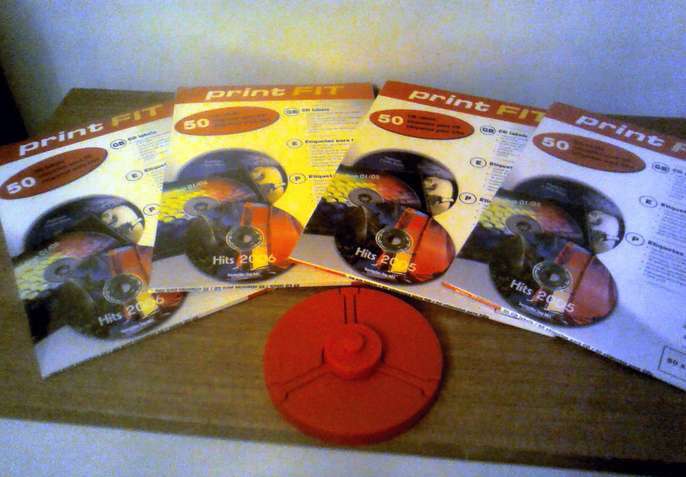 A job lot of DVD/CD disc labels which can be printed upon using many standard software packages. There are three packs of 50 labels still unopened and one pack with about 20 labels still left. The set comes complete with the jig that allows the labels to be correctly stuck on the discs.